We are proud to partner with the following companies and groups to offer them home and auto insurance programs specially tailored to each group’s unique work, life and administration requirements. Take advantage of your group’s buying power and enjoy Rhodes & Williams quality peace of mind at highly competitive rates. If you are currently employed or belong to any of the listed organizations, please provide the company/organization name in the comments/questions box of the Get a Quote form. 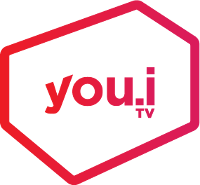 You.i TV group members can enjoy substantial discounts on all their personal insurance needs – plus the unique insights and advice of a Rhodes & Williams insurance broker. The Shopify group home and auto program can offer substantial savings for group members, with access to several competitive insurance markets for group programs. Enjoy another exclusive benefit of being a member of Renegade Bass, the non-profit tournament association operated by the members – for the members. Saba Software group members can enjoy substantial discounts on all their personal insurance needs – plus the unique insights and advice of a Rhodes & Williams insurance broker. Exclusive to members of any law enforcement agency, including RCMP, OPP and Regional Police. Exclusive coverage available to all United Steelworkers members including retirees, spouses and qualifying dependents. This group plan protects cars, homes, seasonal dwellings, recreational vehicles and more. The GAL Power home and auto program can offer group members substantial savings on all their personal insurance needs. Trust Rhodes & Williams to put your group power to work for you!